The Sweet Spot: A quilling we will go..
A quilling we will go.. So, I needed to come up with something that would take me out of the Fall season funk. I try hard but Fall makes me sad. 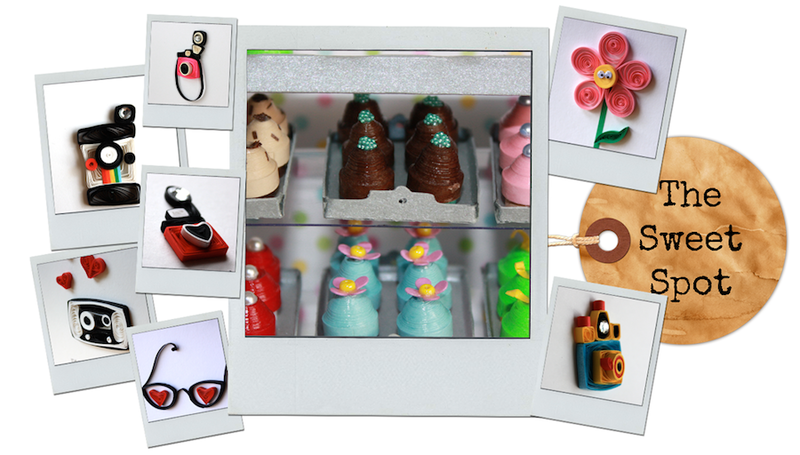 So, I decided to plan another quilling blog hop. The date is set for November 4th at 9am EST. I have lots of amazing quillers lined up from all over the world. BUT, I'm missing a few continents. This is where you come in! Do you know of any quillers with blogs from Australia and South America? I only have one quiller from Africa, but if you can help me find more from there too, that'd be great! So, spread the word my fellow paper twirlers and hopefully we'll have a hop that'll slap the fall funk out of me (and you, too). I have a really cool surprise that even surprised me, but I can't share it yet :/ (Don't you hate it when people do that?!) Have you ever bitten the bullet and done something you're totally scared of and then been surprised by the response? Yeah, well, details soon! Not longer than a week, I promise! My uber talented friend asked me to make earrings out of my paper flowers. Just tried out my first pair. Let me know what you think (but, be nice)! And one more one of a kind ring. I LOVE these vintage glass beads I found. So pretty. Can't wait to share lots more new and exciting things! I hope your week is treating you SWEETLY! 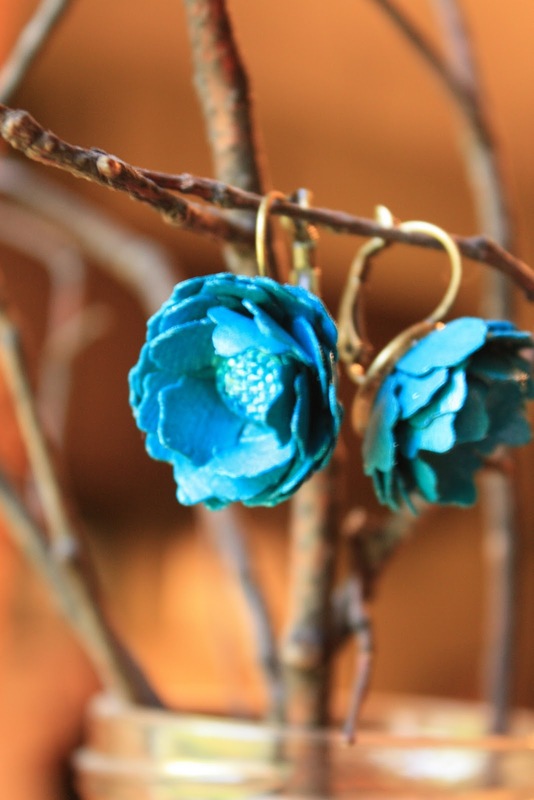 Beautiful earrings, I like them. Those are just gorgeous! 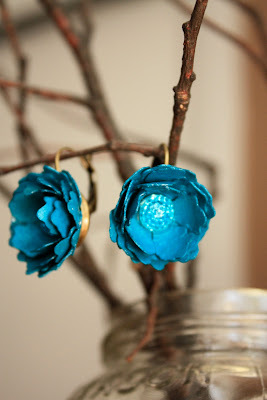 I do quilling, but never thought of making jewelry with it...very nifty. Such a beautiful earrings, great work!!! Such a beautiful earrings,lovely colors, well done!!! i love them!! So beautiful!